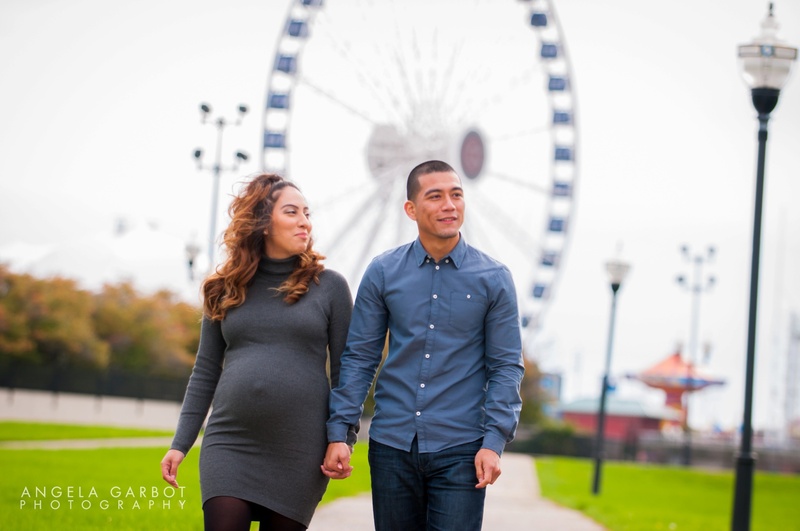 Like engagement sessions, there’s something so special and sweet about Chicago maternity photoshoots. 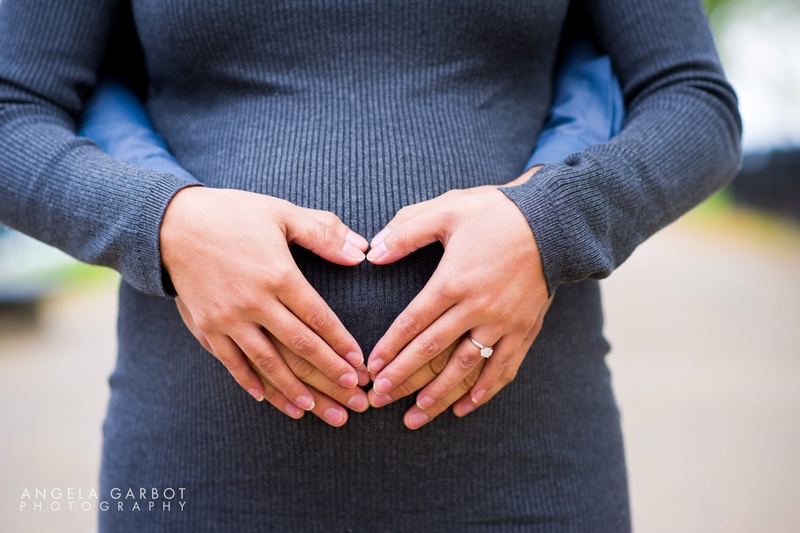 It’s time that parents-to-be rarely give themselves – the enjoyment and just being present in the moment before the new one arrives without the distractions of doctor appointments, baby room preparations and all the activity that comes from being pregnant. And I LOVE being in that moment with them! 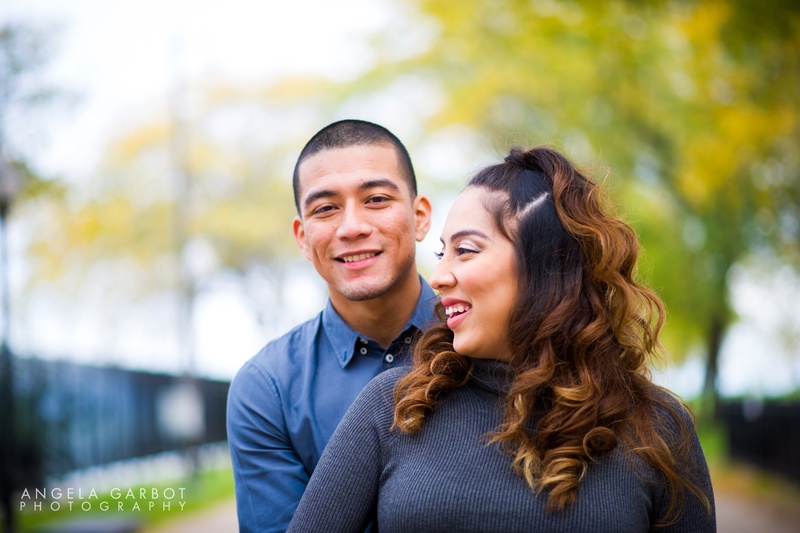 Diana + Francisco embraced their time together, and we had the sweetest baby bump session. And, I gotta say, Diana is one hot mama-to-be! 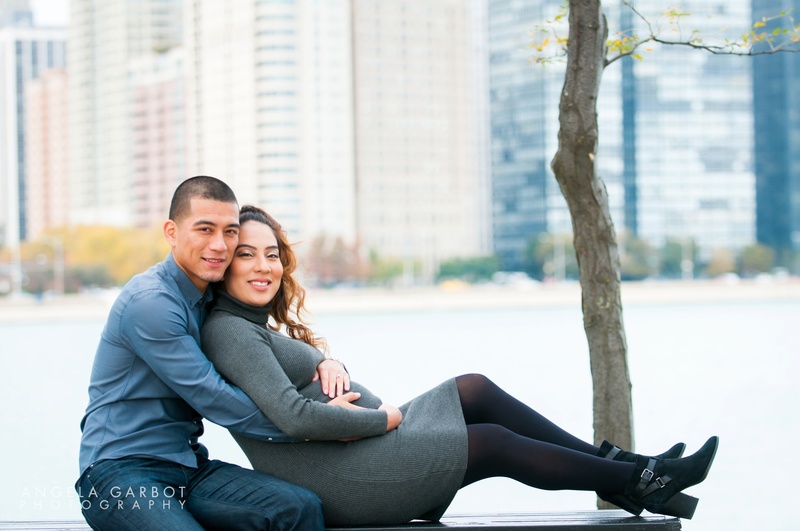 Fabulous maternity photographs with Diana and Francisco Morado at Olive Park in downtown Chicago. 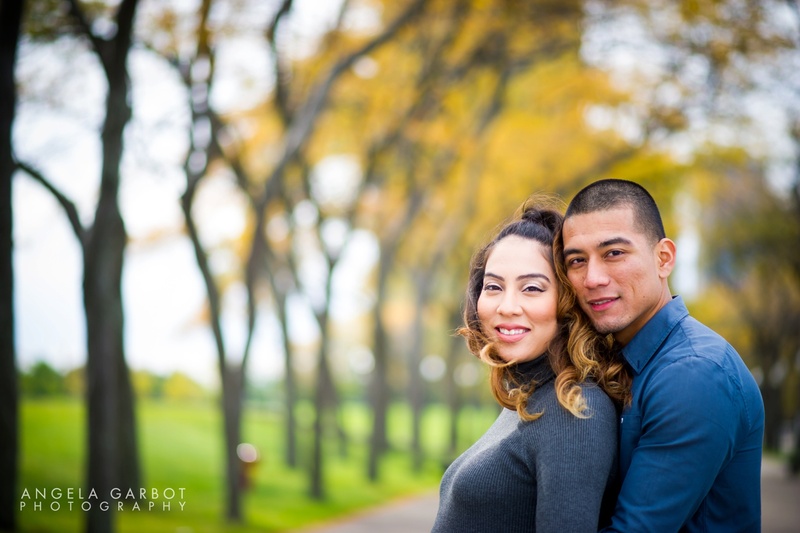 It’s always fun to do a location baby bump session, and Olive Park is a beautiful backdrop for a Chicago maternity shoot. Doesn’t Diana look stunning?! 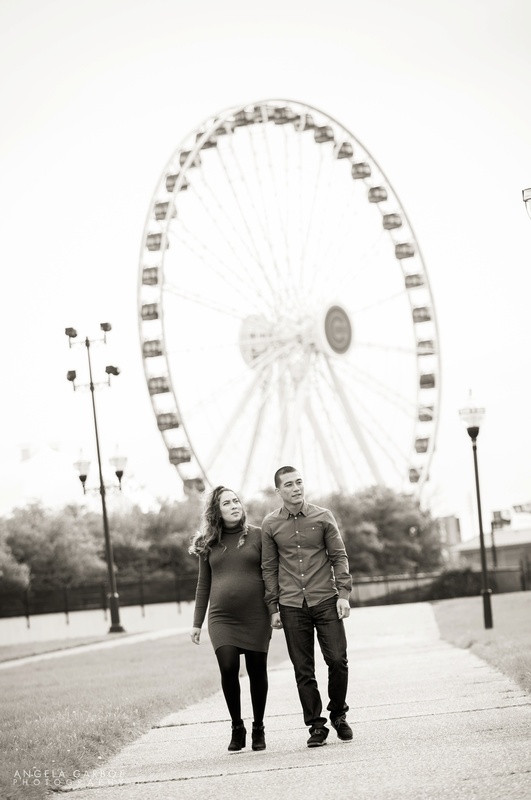 It makes such a difference to have your hair and make-up done for your maternity shoot, great investment in YOU! I just love the backdrop of the vibrant Fall colors – couldn’t get enough! Photographs from Diana + Francisco’s Chicago wedding. 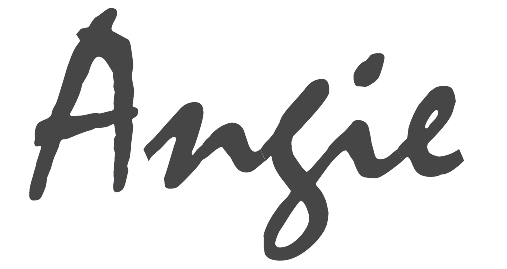 The ceremony was held at St. Mary of the Angels Catholic Church and the reception was held at the Bridgeport Art Center in the Sculpture Garden. The bridal party took photographs in the couples’ childhood neighborhood, at Lakeview High School where they met and along Chicago’s Lake Michigan Lakefront.